Moments of Mommyhood: Awarded! Thank You! 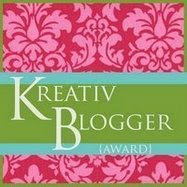 This Award was given to me by Keeling from Confessions of a Mommy Blogger! The rules for this award are to list 7 things that I love and then pass the award on to 7 blogs I love to read! 2. books-I have always had such a great love of reading and I really try to pass that on to my kids. 3. flowers-Spring has sprung and the flowers are magnificent! 4. long walks-Quiet walks with my family are the best! 5. cooking-Anytime I can spend in the kitchen creating great dishes is wonderful. My kids are always eager to help. 7. roller coasters-My boys and I ride any coaster we can together. I can't wait for summer to get here! I also received this award from Annette at The Whipples! Thank you both very much for the awards! 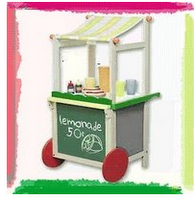 I really appreciate the positive feedback that I receive here at Just For Fun! I love doing what we do and I am happy to share that with all of you:0) I am going to pass these awards on to all of my followers! There are so many incredible blogs out there and it is too hard to choose just a few. You're a roller coaster fan, huh? Never would have guessed it! Congratulations! You deserve it Mama! Congrats on your awards! I haven't been on a roller coaster since 1996!